Citation: Shamseddin WMK, Holland D. Can’t Always Blame Anti-HLA Antibody: Angiotensin II Type 1 Receptor (AT1R) Antibody and Renal Allograft Vascular Rejection. Adv kidney Dis Treat. 2017, 1:1. The Banff 2013 classification provides a definition of antibody-mediated rejection (ABMR) based on microvascular inflammation in the absence of C4d staining. 50% of ABMR cases with severe vascular changes are C4d negative suggesting the involvement of non-HLA antibodies. Angiotensin II type 1 receptor (AT1R) is a membrane-bound receptor that is found on endothelial and immune cells. Binding of anti-AT1R antibodies (Abs) to AT1R induces similar physiological and inflammatory effects as angiotensin II including aldosterone secretion, vasoconstriction and inflammatory cytokines activation resulting in atherosclerosis and renal tissue damage. Anti-AT1R antibodies are associated with pre-eclampsia, hypertension, pulmonary arterial hypertension and biopsy-proven acute vascular rejection in the absence of donor-specific antibody (DSA). The importance of anti-AT1R Abs as an alternative mechanism for graft injury and rejection has received increased recognition recently. However, in the absence of any causal studies to determine the mechanism of anti-AT1R Abs mediated graft damage and failure, the additive value of checking anti-AT1R Abs routinely pretransplantation or at the time of graft dysfunction remains controversial, especially in the absence of more specific treatment. Based on the current evidence, antiAT1R Abs could be considered as a supplementary test where atypical pathology or graft dysfunction exists in the absence of DSA or in the presence of malignant hypertension. Further study is needed to determine if anti-AT1R Abs are an independent risk factor for graft dysfunction and loss as well as to explore the clinical utility of screening and therapeutic protocols. Kidney; Renal; Transplant; Transplantation; Acute rejection; AR; Antibody mediated rejection; ABMR; Vascular rejection; Non-HLA; Angiotensin II type 1 receptor; AT1R. The expansion of sophisticated technologies and the implementation of more effective immunosuppressive regimens have resulted in more specific HLA tissue typing, anti-HLA antibody and donor-specific antibody (DSA) detection and better renal allograft survival. However, while the risk of T-Cell mediated rejection (TCMR) has decreased substantially, kidney transplant recipients continue to experience antibody-mediated rejection (ABMR) even among HLA-identical sibling grafts, suggesting involvement of non-HLA antigens [1-3]. The Banff 2007 diagnostic criteria for HLA ABMR requires pathological evidence of microvascular inflammation and injury (such as glomerulitis, peritubular capillaritis or chronic transplant glomerulopathy), deposition of the complement degradation product C4d in peritubular capillaries, and demonstration of posttransplant DSA . Post-transplant DSA is more common in acute and chronic rejection compared to stable recipients and is frequently associated with C4d deposition in biopsies. C4d positive rejection is diagnosed in 75% of recipients with post-transplant DSA, but only in 2% in recipients with no DSA. However, DSA can be produced in the absence of clinical or pathological rejection, leaving the value of these antibodies as a diagnostic tool unclear . Diffuse C4d staining in peritubular capillaries is a specific but insensitive marker of HLA-mediated ABMR that is associated with poor graft survival . However, 40-50% of vascular rejection episodes are C4d negative, suggesting involvement of non-HLA antibodies . Many non-HLA antibodies are auto-antibodies directed against endothelial cells, tubular epithelial cells, podocytes, mesangial cells and monocytes . The Banff 2013 classification acknowledges the importance of C4d-negative ABMR by omitting the requirement for C4d staining in the diagnosis of ABMR, relying more so on evidence of current/ recent antibody interaction with vascular endothelium and setting a higher threshold for microvascular inflammation . Vascular rejection resistant to an intensified immunosuppressive regimen is the most critical predictor of early and late graft failure . Although the association between DSA and vascular rejection has been ascertained, pre-transplant alloantibodies against non- HLA antigens are also identified in recipients with HLA-identical donor kidney transplant and refractory vascular rejection . Angiotensin II type 1 receptor (AT1R) is a membrane-bound G-protein-coupled receptor found on endothelial and immune cells [11, 12]. Anti-AT1R antibodies (Abs) are associated with pre-eclampsia [13, 14], hypertension  and auto-immune pulmonary arterial hypertension . In 2003, Dragun et al. identified the presence of circulating non-HLA anti-AT1R Abs in nine kidney transplant recipients with severe steroid-resistant biopsy-proven (BP-) acute vascular rejection and malignant hypertension in the absence of DSA. Biopsies in such patients showed either endarteritis or fibrinoid necrosis . Additional studies have also reported an association between high circulating levels of anti-AT1R Ab and increased incidence of TCMR, ABMR, and poor renal allograft survival [2,13-22]. Anti-AT1R Ab has been proposed as an alternative mechanism for graft injury and rejection [18, 22]. Recognition of non-HLA antibodies pre-transplantation may identify recipients at increased risk for acute rejection (AR). Availability of a new commercial ELISA assay for anti-AT1R Ab may help in the management of these challenging cases . AT1R is a membrane-bound receptor that is found on endothelial, mononuclear and other immune cells [11, 12]. The human gene is located on chromosome 3 . Binding of anti-AT1R Ab to AT1R induces similar physiological and inflammatory effects as angiotensin II includes adrenal aldosterone secretion, proximal tubular sodium reabsorption and vasoconstriction  as well as activation of inflammatory cytokines inducing atherosclerosis and renal tissue damage . While anti-HLA Abs initiate graft injury via complement-mediated and antibody dependent cellmediated cytotoxicity , anti-AT1R Abs activate the extracellular signal-regulated kinase (Erk) 1/2 signaling cascade of the vascular smooth muscle cells by binding to the second extracellular loop of the AT1R, resulting in increased production of cytokines and gene transcription of tissue factors such as activator protein 1 (AP-1) and nuclear factor-kB, which initiates immune and inflammatory responses, vascular smooth muscle hypertrophy and activation of the extrinsic coagulation pathway [13, 18, 25]. Factors that increase endothelial activation post-transplantation (such as prolonged ischemia time) may also increase AT1R expression, resulting in anti-AT1R Ab-related injury . Furthermore, stimulation of T cells and other immune cells by angiotensin and anti-AT1R Abs may increase production of proinflammatory cytokines . Dragun et al. studied 33 patients with biopsy-proven refractory vascular rejection, of whom 20 had no evidence of DSA. Of those without DSA, 16 had malignant hypertension. All 16 patients were negative for other autoimmune of hereditary causes of thrombotic angiopathy. Interestingly, one patient who received a zero HLA-A, B, DR mismatched allograft had a past history of preeclampsia and developed early treatment-resistant vascular rejection. The agonistic response of AT1R to IgG subclasses was assessed in vitro using a rate model and AT1R IgG antibodies obtained from the previously described transplant recipients. Neonatal rat cardiomyocytes were exposed to IgG subclasses obtained pretransplantation and at the time of rejection. The chronotropic response following exposure was recorded (measured as the increase in the number of beats/min). A mean increase of 26-30 beats/min was observed in cells exposed to IgG immunoglobulin obtained only from patients with anti-AT1R Abs, negative DSA and malignant hypertension. Anti-AT1R Abs IgG 1 and 3 subclasses were responsible for the agonistic response . The same authors have also demonstrated that infusion of anti-AT1R Abs into rats one week post kidney transplantation resulted in biopsy-proven vascular rejection confirmed by endarteritis and intravascular infiltrates, while rats infused with control IgG showed only endothelial activation . Conversely, pharmacological blocking of the AT1R with angiotensin II receptor blockers (ARBs) reduces cytokine production from T cells [11, 14, 27] and abolishes the agonistic effects of anti-AT1R Abs . Some studies suggest that the homozygous DD-genotype of the angiotensin converter enzyme gene I/D are the only RAAS genetic polymorphism significantly associated with renal allograft dysfunction [28, 29]. However, Zhang et al. have shown a significant association between AT1R-CC polymorphism and steroid resistant AR (OR 8.34; 95%CI: 2.4-28.7). Dragun et al. detected C4d in only 5 of 16 (31%) patients with biopsy features of vascular rejection, positive anti-AT1R Abs, but no DSA, while Reinsmoen et al. detected C4d in only 1 of 6 patients (17%). Moreover, Scornik et al. has shown no correlation between anti-AT1R Abs and C4d+ rejections. Therefore, although anti-AT1R Abs of the IgG1 and IgG3 subclasses fix complement, the pathogenesis of anti-AT1R Ab-induced rejection appears distinct from rejection caused by DSA. While the overall 1 year incidence of acute rejection (AR) is currently no more than15% using IL2 receptor antibody induction , the incidence of ABMR due to non HLA-DSA is obviously much lower. Amico et al. reported an incidence of early ABMR due to non HLA-DSA of only 2.3% (10/433) . The pre-transplant prevalence of anti-AT1R Abs in dialysis patients ranges between 10-47%, depending on the cut-point used for defining positive anti-AT1R Ab level (10-17 U/ml) [19-22, 33]. A single-center European study followed 278 consecutive kidney transplant recipients from 2000-2004 in order to define the incidence and prevalence of anti-AT1R Abs mediated rejection . Of 119 BP-AR episodes, 23 (19.3%) were refractory to steroid therapy, of which 9 (7.6%) occurred in patients with positive DSA and 10 (8.4%) occurred in patients with anti-AT1R Abs>10 U/ml. The remaining 4 steroid-resistant rejections (3.4%) occurred in patients with neither DSA nor anti-AT1R Abs. Based on a cohort of 278 transplant recipients and a total of 10 episodes of steroidresistant rejection associated with anti-AT1R Abs, the authors reported a crude prevalence of 3.6% . Vascular rejection presents as a wide variety of histopathological lesions including endarteritis, myointimal proliferation with fibrosis, thrombosis and fibrinoid vascular necrosis . Biopsy specimens obtained from patients with rejection and anti-AT1R Abs usually show intense staining of tubular cells, inflammatory infiltrate and peritubular capillaries. Although patients with rejection and positive DSA usually have positive C4d staining on biopsy, C4d is more often negative in patients with rejection and anti-AT1R Abs (69%  and 83% ). Pre-transplant anti-AT1R Abs (≥ 10 U/ml) has been prospectively observed in 23% of 117 consecutive kidney transplant recipients . The incidence of BP-AR was similar between patients with and without anti-AT1R Abs (15% and 14.4%, respectively). However, although the incidence of BP-AR was similar, patients with positive pre-transplant anti-AT1R Abs developed more severe rejection (Banff IIB and ABMR) compared to patients without anti- AT1R Abs (15% vs. 1.1%, P=0.009). Multivariate analysis showed a HR of BP-AR IIB or ABMR of 13.4 (P=0.02) among recipients with anti-AT1R Abs . Sixteen AR events (9 TCMR and 7 ABMR) were diagnosed in an incident cohort of 63 transplant recipients . Recipients had no HLA-DSA or MICA Abs either pre-transplantation or at the time of AR. Among the 7 patients diagnosed with ABMR, 6 demonstrated anti-AT1R Abs (>17 U/ml). Anti-AT1R Abs were absent in all patients with TCMR . Giral et al. examined the potential association between pre-transplantation sensitization against AT1R and the risk of acute rejection (AR) and graft survival. In a cohort of 599 consecutive kidney transplant recipients (87% had received a 1st, 10% a 2nd and 3% a 3rd or more transplant; 94.2% deceased donor kidney; 32.9% PRA>0%; mean historical PRA class I 23.7 ± 31.8%; class II 29 ± 33.2%) were followed between 1998 and 2007 (mean follow up of 6.9 year). Positive anti-AT1R antibody levels (>10 U/ml) were detected in 283 (47%) of patients prior to transplantation. Biopsy-proven AR occurred in 63 (10.5%) of recipients, with 44 (7.3%) rejection events occurring within the first 4 months. ABMR accounted for 33% of all AR. Interestingly, pre-transplant anti-AT1R-Abs>10 U/ml was identified in 71.4% of patients with ABMR. Pre-transplant anti-AT1R Abs>10 U/ ml were a predictor of early AR within the first 4 months posttransplantation (HR=1.91, 95% CI: 1.03-3.54; P=0.04) and late graft failure beyond 3 years post-transplantation (HR=2.59, 95%CI: 1.50-4.45; P=0.0005), independent of historical pre-transplant PRA status . However, the above findings have several limitations. First, 33% of AR was not histologically reanalyzed. Moreover, 50% of sera at rejection time were unavailable and DSA was not performed in all recipients. Second, only 1/3 of patients with anti-AT1R Abs>10 U/ ml had no HLA-DSA while the others had HLA-DSA, mostly at low MFIs prior to transplantation. Third, the anti-AT1R Abs levels at the time of rejection, except for two recipients with ABMR, were lower than the pre-transplant levels, although this could be due to intra-graft antibody adsorption similar to intra-graft HLA Ab adsorption . Finally, DSA was not included in the outcome models, despite proven association with graft loss outcomes . In a South Korean case-control study ; the association of pre-transplant anti-AT1R Abs with BP-ABMR was assessed in 37 recipients with BP-AR (6 ABMR, 8 TCMR & ABMR and 23 TCMR), compared with matched 42 controls with kidney transplantation during the same period with no evidence of AR. All patients were negative for HLA-DSA at the time of transplantation. Pretransplant anti-AT1R Abs were elevated in 7 (8.9%) recipients (level was >17 U/ml in 2 (2.5%); and 10-17 U/ml in 5 (6.3%) recipients). Compared to controls, the frequencies of elevated anti-AT1R Abs was higher in patients with ABMR (n=14, 28.6% vs. 4.9%, OR=8; P=0.03); and with ABMR&TCMR (37.5% vs. 4.9%, OR=12; P=0.03), but not in those with TCMR . In early 2015, Fuss et al. reported 11 adult patients from the Australian Central and Northern Adelaide Renal and Transplantation Service, with C4d-negative BP-AR, with anti-AT1R Abs>10 U/ml, and no DSA (mean fluorescence index (MFI) <1,500). All patients were hypertensive pre-transplant, with 5 patients on ARB. Pre-transplantation anti-AT1R Abs were >10 U/ml in 10 recipients and <10 U/ml in 1 patient who developed elevated level at the time of rejection. Anti-AT1R Abs were repeatedly assessed in 7 cases, and were not significantly changed at the time of rejection in x4 cases, while Abs reduced in 2 cases and increased only in 1 case . Thus, the detection of anti-AT1R Abs prior to transplantation, as a complementary risk factor, could identify high immunological risk recipients, who would be considered otherwise low risk based merely on the absence of HLA-DSA. However, a pre-transplant assessment of anti-AT1R Abs cannot be routinely recommended since anti-AT1R Abs were not merely responsible for all non-HLA AR nor were significantly changed at the time of AR. One-year graft survival was significantly higher (P=0.01) among recipients with no pre-transplant anti-AT1R Abs (1/90, 1.1% graft loss) compared with those with (3/27, 11.1%) . The pre- and post-transplant anti-AT1R Abs (≥ 15U/ml) association with renal allograft failure was tested by Taniguchi et al. in 351 consecutive kidney recipients. Sixty (17%) patients were pre-transplant anti- AT1R Abs positive; 58% of them were only pre-transplant, while 42% were pre- and post-transplant. 3% (n=11) of the total patients developed de novo anti-AT1R Abs . BP-AR and/or abnormal pathological lesions were found in 134 recipients (abnormal biopsy group-ABG). Compared with 217 control group (CG), anti-AT1R Abs were found in 18% (24) of ABG recipients vs. 12 (6%) of CG patients (P<0.001). Nineteen patients in the ABG were pre-transplant anti-AT1R Abs positive, where the other 8/24 recipients developed de novo anti-AT1R Abs . Nineteen (79%) patients in the ABG with post-transplant anti-AT1R Abs have lost their graft, compared with *41 (37%) patients in the ABG with no anti-AT1R Abs (P<0.001), while no graft failure (0%) occurred in the CG with anti-AT1R Abs (P<0.001). Seven, 11 and 1/19 graft failures were associated with only anti-AT1R Abs, with anti-AT1R Abs & DSA and with anti-AT1R Abs followed by DSA, respectively. Anti-AT1R Abs was de novo in 5/7 and 2/11 of above failures. DSA was de novo in all failures. Of the 11 recipients who developed de novo anti-AT1R Abs (3 in the CG and 8 in the ABG), 64% (n=7, all in the ABG) lost their graft . Taniguchi et al. concluded that post- but not pre-transplant anti-AT1R Abs, alone or in combination with DSA, were associated with a significant risk of graft lost. Multivariate analysis showed that de novo ant- AT1R Abs was an independent predictor of graft failure in the ABG (HR=6.6; 95% CI: 2.1-20.9, P=0.001) and in the entire population (HR=5.4; 95% CI: 2.2-13.3, P<0.001). Furthermore, and similar to Amico et al. findings, patients with both anti-AT1R Abs and DSA had synergistically lower graft survival than those with DSA alone (P=0.007) . Although a causal relationship was suggested by Nath et al. between HLA and non-HLA autoantibodies, indicating that damage caused by HLA antibodies; 67% of patients had post-transplant anti-AT1R Abs before DSA indicating that anti-AT1R Abs is not always the secondary effect of tissue injuries caused by DSA, but it could be the primary mechanism of injury. Moreover, time to graft failure with anti-AT1R Abs detectable before DSA was 31 months, compared with 63 months with DSA detectable before anti-AT1R Abs . Further studies are required to refine whether anti-AT1R Abs results directly in graft damage or whether it is the result of other mechanisms or both. Anti-AT1R Abs may induce inflammatory responses and allograft rejection by activating the NF-kB genes. Blockade of NF-kB activity by decoy oligodeoxynucleotides (ODN) has resulted in a reduction of tubulointerstitial macrophage infiltration in rat renal allografts . Losartan is a specific AT1R antagonist that could potentially mitigate expression of renal cortical cytokine mRNA associated with various monocyte chemoattractants including monocyte chemoattractant protein-1 (MCP-1), RANTES, interleukin-1, inducible nitric oxide synthase, and transforming growth factor-b. Renal cortical cytokine mRNA levels for several monocyte chemoattractants were measured using competitive reverse transcription polymerase chain reaction and compared between rats with kidney transplants randomized to either losartan treatment or a control group. At 20 weeks, macrophage and T-cell numbers were decreased, while MCP-1, RANTES, and intercellular adhesion molecule-1 staining in the graft, identified by immunohistochemistry, were significantly attenuated in the Losartan treatment group . Dragun et al. explored the treatment of ABMR due to anti-AT1R Abs in a small cohort study, comparing standard treatment (plasmapheresis and intravenous immune globulin) to standard treatment and Losartan 100 mg daily. The investigators reported significantly improved renal allograft survival among those patients receiving Losartan. Moreover, serum anti-AT1R Abs became negative in a few patients receiving Losartan, leading to longer rejection-free follow-up compared to patients who received standard treatment alone . Similar results were reported by Zhang et al. using above therapeutic regimen with protein A immunoadsorption in 14 recipients with severe steroid resistant AR. Fuss et al. also showed beneficial results of Candasartan use in patients with BP-ABMR and negative C4d and DSA. Besides and since post-transplant hypertension remains a significant risk factor for graft loss, Premasathian et al. assessed retrospectively the interaction between BP control and antihypertensive drugs on graft outcome, in 1662 renal recipients (88% Caucasians and 46% deceased). Calcium channel blockers (CCBs) alone reduced the risk of graft loss (RR=0.81; 95% CI: 0.68- 0.96, P=0.02), while ACEI/ARB therapy had a beneficial effect on graft survival in individuals with elevated systolic blood pressure >150 mmHg compared to CCBs (P<0.01) . Furthermore, immediate post-transplant graft function and delayed graft function (DGF) were compared between 260 deceased kidney transplant recipients with or without peritransplant ACEI/ARB. The use of an ACEI or ARB did not influence immediate post-transplant graft function or the occurrence of DGF. Conversely, in patients administered an ACEI/ARB, serum creatinine levels decreased faster than in those without therapy (P<0.01) . Moreover, among patients with DGF, those who administered an ACEI/ARB had significantly faster graft recovery (P<0.001). Similar results showed the safety of early use of ACEI/ ARB in post-transplant patients . 10 year graft- and patient-survival in the ACEI/ARB patients were also significantly better than in the nonuse ACEI/ARB group; 59% & 74% compared with 41% & 53%, respectively, P<0.002. Compared with nonuse, the hazard ratio (HR) of ACEI/ARB use for graft failure was 0.55; 95%CI: 0.4-0.7; and for mortality was 0.57; 95% CI: 0.4-0.8 . Above studies showed a safety, if not even benefits, of using AT1R antagonists in kidney transplant patients. Losartan, as a selective AT1R antagonist, can also decrease the inflammatory responses of AT1R activation and indirectly can reduce the risk of non-HLA, anti-AT1R Abs-mediated graft rejection. Consequently, peri-transplant use of Losartan electively in cardiovascular and hypertensive patients should be considered in the absence of any absolute contraindication. However, additional prospective studies are needed to confirm this hypothesis, especially that some studies showed only mortality and proteinuria reduction benefits but no beneficial graft survival , while other studies [19, 37] showed the occurrence of AR among patients on AT1R antagonists. The Banff 2013 classification provides a definition of ABMR based on microvascular inflammation in the absence of C4d staining. As many as 50% of ABMR cases involve severe vascular changes but are C4d negative, suggesting involvement of non-HLA antibodies. Many non-HLA antibodies are auto- antibodies directed against endothelial, tubular epithelial and inflammatory cells. The importance of anti-AT1R Abs has received increased recognition recently. Anti-AT1R Abs is associated with preeclampsia, hypertension, and pulmonary hypertension. Anti-AT1R Abs is also associated with biopsy-proven acute vascular rejection in the absence of DSA. Anti-AT1R Abs is therefore proposed as an alternative mechanism for graft injury and rejection. Although monitoring of pre-transplant [19, 22, 33] and posttransplant [18, 22, 36, 37] anti-AT1R Abs has been suggested in order to identify patients at increased risk of non-HLA acute rejection and graft failure, there are in fact no causal studies to determine the mechanism of anti-AT1R Ab mediated tissue damage and graft failure. Additional prospective studies are required to confirm whether peri-transplant use of ARB/Losartan should be considered in order to reduce the risk of vascular rejection in patients with anti-AT1R Abs. At this time, the additive value of checking anti-AT1R Abs routinely pre-transplant or at the time of graft dysfunction remains controversial, especially in the absence of more specific treatment. However, based on current evidence, anti-AT1R Abs could be considered as a supplementary test where atypical pathology or graft dysfunction exists in the absence of DSA  or in the presence of malignant hypertension. Further study is needed to determine if anti-AT1R Abs are an independent risk factor for graft dysfunction and loss. If so, additional research is also required to establish a specific threshold defining positive anti-AT1R Ab results, develop effective therapeutic interventions for treatment of anti-AT1R Abmediated rejection, and explore the clinical utility of screening protocols . MKS reviewed the literature and drafted the manuscript. DH revised the manuscript. All authors read and approved the final manuscript. The authors would like to thank Ms. Amanda Ross-White at the Queen’s University Library, Kingston, Ontario, for her assistance of literature search. Colvin RB (2007) Antibody-mediated renal allograft rejection: Diagnosis and pathogenesis. J Am Soc Nephrol 18: 1046-1056. Amico P, Hönger G, Bielmann D, Lutz D, Garzoni D, et al. (2008) Incidence and prediction of early antibody-mediated rejection due to non-human leukocyte antigen-antibodies. Transplantation 85: 1557-1563. Opelz G (2005) Non-HLA transplantation immunity revealed by lymphocytotoxic antibodies. Lancet 365: 1570-1576. Haas M (2016) The revised (2013) banff classification for antibody-mediated rejection of renal allografts: update, difficulties, and future considerations. Am J Transplant 16: 1352-1357. Scornik JC, Guerra G, Schold JD, Srinivas TR, Dragun D, et al. (2007) Value of post-transplant antibody tests in the evaluation of patients with renal graft dysfunction. Am J Transplant 7: 1808-1814. Bohmig GA, Exner M, Habicht A, Schillinger M, Lang U, et al. (2002) Capillary C4d deposition in kidney allografts: a specific marker of alloantibody-dependent graft injury. J Am Soc Nephrol 13: 1091-1099. Nickeleit V, Mihatsch MJ (2003) Kidney transplants, antibodies and rejection: Is C4d a magic marker? Nephrol Dial Transplant 18: 2232-2239. Rose ML (2004) Role of MHC and non-MHC alloantibodies in graft rejection. Curr Opin Organ Transplant 9: 16-22. Van SJL, Van DWFJ, Thorogood J, Hollander AA, Van ELA, et al. (1995) The relation between acute vascular and interstitial renal allograft rejection and subsequent chronic rejection. Transplantation 59: 1280-1285. Ahren AT, Artruc SB, DellaPelle P, Cosimi AB, Russell PS, et al. (1982) Hyperacute rejection of HLA-AB- identical renal allografts associated with B lymphocyte and endothelial reactive antibodies. Transplantation 33: 103-106. Weidanz JA, Jacobson LM, Muehrer RJ, Djamali A, Hullett DA, et al. (2005) ATR blockade reduces IFN-gamma production in lymphocytes in vivo and in vitro. Kidney Int 67: 2134-2142. Günther J, Kill A, Becker MO, Heidecke H, Rademacher J, et al. (2014) Angiotensin receptor type 1 and endothelin receptor type A on immune cells mediate migration and the expression of IL-8 and CCL18 when stimulated by autoantibodies from systemic sclerosis patients. Arthritis Res Ther 16: R65. Wallukat G, Homuth V, Fischer T, Lindschau C, Horstkamp B, et al. (1999) Patients with preeclampsia develops agonistic autoantibodies against the angiotensin AT1 receptor. J Clin Invest 103: 945-952. Siddiqui AH, Irani RA, Blackwell SC, Ramin SM, Kellems RE, et al. (2010) Angiotensin receptor agonistic autoantibody is highly prevalent in preeclampsia: correlation with disease severity. Hypertension 55: 386-393. Fu ML, Herlitz H, Schulze W, Wallukat G, Micke P, et al. (2000) Autoantibodies against the angiotensin receptor (AT1) in patients with hypertension. J Hypertens 18: 945-953. Becker MO, Kill A, Kutsche M, Guenther J, Rose A, et al. (2014) Vascular receptor autoantibodies in pulmonary arterial hypertension associated with systemic sclerosis. Am J Respir Crit Care Med 190: 808-817. Dragun D, Brasen JH, Schonemann C, Fritsche L, Budde K, et al. (2003) Patients with steroid refractory acute vascular rejection develop agonistic antibodies targeting angiotensin II type 1 receptor. Transplant Proc 35: 2104-2105. Dragun D, Müller DN, Bräsen JH, Fritsche L, Nieminen KM, et al. (2005) Angiotensin II type 1-receptor activating antibodies in renal-allograft rejection. N Engl J Med 352: 558-569. Giral M, Foucher Y, Dufay A, Van HJP, Renaudin K, et al. (2013) Pretransplant sensitization against angiotensin II type 1 receptor is a risk factor for acute rejection and graft loss. Am J Transplant 13: 2567-2576. Banasik M, Boratynska M, Koscielska KK, Kaminska D, Bartoszek D, et al. (2014) The influence of non-HLA antibodies directed against angiotensin II type 1 receptor (AT1R) on early renal transplant outcomes. Transpl Int 27: 1029-1038. Taniguchi M, Rebellato LM, Cai J, Hopfield J, Briley KP, et al. (2013) Higher risk of kidney graft failure in the presence of anti-angiotensin II type-1 receptor antibodies. Am J Transplant 13: 2577-2589. Reinsmoen NL, Lai C-H, Heidecke H, Haas M, Cao K, et al. (2010) Anti-angiotensin type 1 receptor antibodies associated with antibody mediated rejection in donor HLA antibody negative patients. Transplantation 90: 1473-1477. Tinckam K, Campbell P (2013) Angiotensin II Type 1 receptor antibodies: great expectations? Am J Transplant 13: 2515-2516. Ruiz-Ortega M, Lorenzo O, Suzuki Y, Rupérez M, Egido J (2001) Proinflammatory actions of angiotensins. Curr Opin Nephrol Hypertens 10: 321-329. Unal H, Jagannathan R, Bhat MB, Karnik SS (2010) Ligand-specific conformation of extracellular loop-2 in the angiotensin II type 1 receptor. J Biol Chem 285: 16341-16350. Dragun D (2007) Agonistic antibody-triggered stimulation of Angiotensin II type 1 receptor and renal allograft vascular pathology. Nephrol Dial Transplant 22: 1819-1822. Cheng SM, Yang SP, Ho LJ, Tsao TP, Chang DM, et al. (2004) Irbesartan inhibits human T-lymphocyte activation through downregulation of activator protein-1. Br J Pharmacol 142: 933-942. Siekierka HM, Kuhr N, Willers R, Ivens K, Grabensee B, et al. 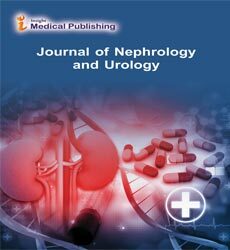 (2009) Impact of genetic polymorphisms of the renin-angiotensin system and of non-genetic factors on kidney transplant function - A single-center experience. Clin Transplant 23: 606-615. Büscher R, Nagel D, Finkelberg I, Büscher AK, Wingen AM, et al. (2011) Donor and recipient ACE I/D genotype are associated with loss of renal function in children following renal transplantation. Pediatr Transplant 15: 214-220. Zhang G, Wang H, Wang F, Yu L, Yang X, et al. (2007) Gene polymorphisms of the renin-angiotensin-aldosterone system and angiotensin II type 1-receptor activating antibodies in renal rejection. Tohoku J Exp Med 213: 203-214. Nankivell BJ, Alexander SI (2011) Rejection of the kidney allograft. N Engl J Med 364: 485-486. Amico P, Honger G, Bielmann D, Lutz D, Garzoni D, et al. (2008) Incidence and prediction of early antibody-mediated rejection due to non-human leukocyte antigen-antibodies. Transplantation 85: 1557-1563. Banasik M, Boratynska M, Koscielska-Kasprzak K, Kaminska D, Zmonarski S, et al. (2014) Non-HLA antibodies: Angiotensin II type 1 receptor (anti-AT1R) and endothelin-1 type A receptor (anti-ETAR) are associated with renal allograft injury and graft loss. Transplant Proc 46: 2618-2621. James B, Colvin B (1998) The Prognostic Significance of Specific Acute Renal Allograft Rejection. J Am Soc Nephrol 1301-1308. Martin L, Guignier F, Mousson C, Rageot D, Justrabo E, et al. (2003) Detection of donor-specific anti- HLA antibodies with flow cytometry in eluates and sera from renal transplant recipients with chronic allograft nephropathy. Transplantation 76: 395-400. In JW, Park H, Rho EY, Shin S, Park KU, et al. (2014) Anti-angiotensin type 1 receptor antibodies associated with antibody-mediated rejection in patients without preformed HLA-donor-specific antibody. Transplant Proc 46: 3371-3374. Fuss A, Hope CM, Deayton S, Bennett GD, Holdsworth R, et al. (2015) C4d-negative antibody-mediated rejection with high anti-angiotensin II type I receptor antibodies in absence of donor-specific antibodies. Nephrology (Carlton) 20: 467-473. Nath DS, Ilias Basha H, Tiriveedhi V, Alur C, Phelanet D, et al. (2010) Characterization of immune responses to cardiac self-antigens myosin and vimentin in human cardiac allograft recipients with antibody-mediated rejection and cardiac allograft vasculopathy. J Hear lung Transplant 29: 1277-1285. Vos IH, Govers R, Gröne HJ, Kleij L, Schurink M, et al. (2000) NFkappaB decoy oligodeoxynucleotides reduce monocyte infiltration in renal allografts. FASEB J 14: 815-822. Ziai F, Nagano H, Kusaka M, Coito AJ, Troy JL, et al. (2000) Renal allograft protection with losartan in Fisher-->Lewis rats: hemodynamics, macrophages and cytokines. Kidney Int 57: 2618-2625. Premasathian NC, Muehrer R, Brazy PC, Pirsch JD, Becker BN (2004) Blood pressure control in kidney transplantation: therapeutic implications. J Hum Hypertens 18: 871-877. Lorenz M, Billensteiner E, Bodingbauer M, Oberbauer R, Hörl WH (2004) et al. The effect of ACE inhibitor and angiotensin II blocker therapy on early posttransplant kidney graft function. Am J Kidney Dis 43: 1065-1070. Jennings DL, Taber DJ (2007) Use of renin-angiotensin-aldosterone system inhibitors within the first eight to twelve weeks after renal transplantation. Ann Pharmacother 42: 116-120. Heinze G (2006) angiotensin-converting enzyme inhibitor or angiotensin ii type 1 receptor antagonist therapy is associated with prolonged patient and graft survival after renal transplantation. J Am Soc Nephrol 17: 889-899. Hernandez D, Muriel A, Abraira V, Pérez G, Porrini E, et al (2012) Renin-angiotensin system blockade and kidney transplantation: A longitudinal cohort study. Nephrol Dial Transplant 27: 417-422.